Ethernet Connector Boards include a 10/100 Base-Transformer RJ45 connector that enables you to easily connect your prototype board to the Ethernet network. 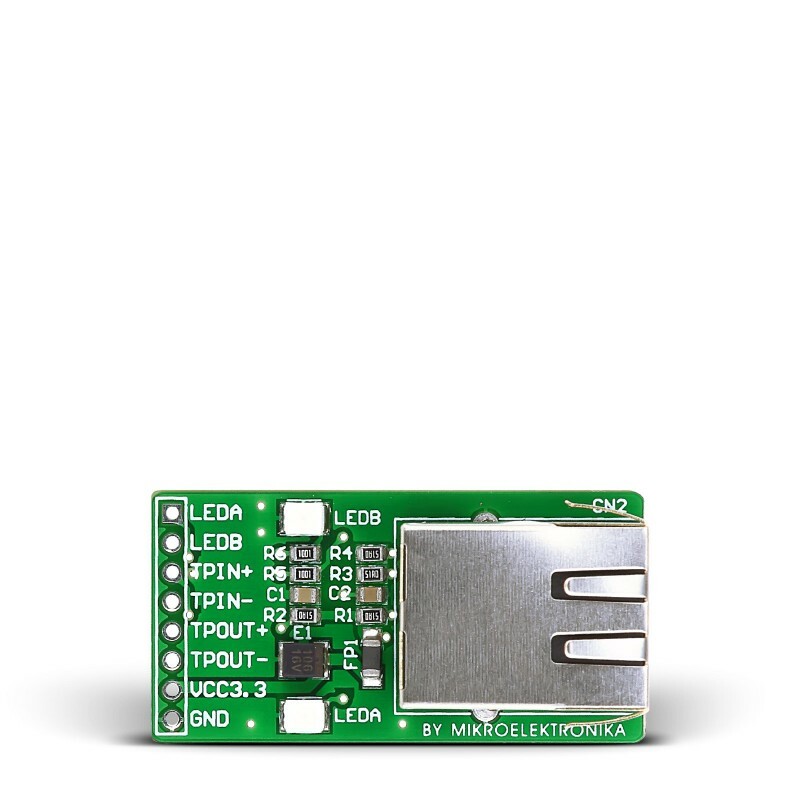 Ethernet Connector Board is a simple, yet effective solution for adding reliable connection capability to your ethernet-supporting device. Board contains 10/100 Base-T RJ45 connector and surrounding electronics for stable and reliable ethernet operation. Your ethernet MCUs deserve the best connection.